For a great vegan side dish, try this deliciously sweet and savory recipe. 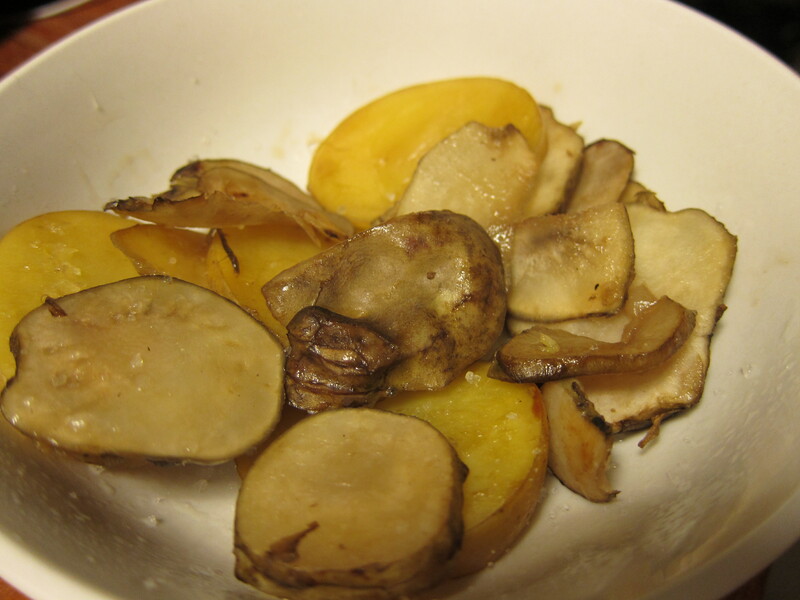 If you don’t have sunchokes (also known as Jerusalem artichokes) you could also use lotus root. Preheat the oven to 375 degrees. Place all the veggies and garlic in a bowl. Add the oil, and toss to coat. Spread the veggies onto a baking sheet. Roast the veggies for 12 minutes and then add the tamari and agave nectar, stir to coat. Return the veggies to the oven, and roast an additional 10 minutes. At this point, check to see if the veggies are tender and becoming golden; if not return to the oven for 5-10 minutes longer. This entry was posted in Dinner Recipes, Gluten-free Recipes, Recipes, Vegan Recipes, Vegetarian Recipes. Bookmark the permalink. Will give this a whirl!! Looks good! But I might add some tomatoes in for color! would be so yummy with tomatoes! !